Emily Ley is Founder and Creative Director of Emily Ley Paper & Gifts. Her Simplified Planner won the Best New Product award for 2015 at the National Stationery Show. Raised in Pensacola, Florida (home of the most beautiful beaches you ever did see), Emily is a businesswoman, wife, and mama to three. She enjoys Friday pizza parties on the living room floor, strong cappuccinos with her college-crush-turned-husband, and making memories to savor for a lifetime with her twins and preschooler. Have you been told you can have it all, only to end up exhausted and occasionally out of sorts with the people you love? Are you ready for a new way of seeing your time? Simplify your life by simplifying the three major areas: your space, your time, and your mind. 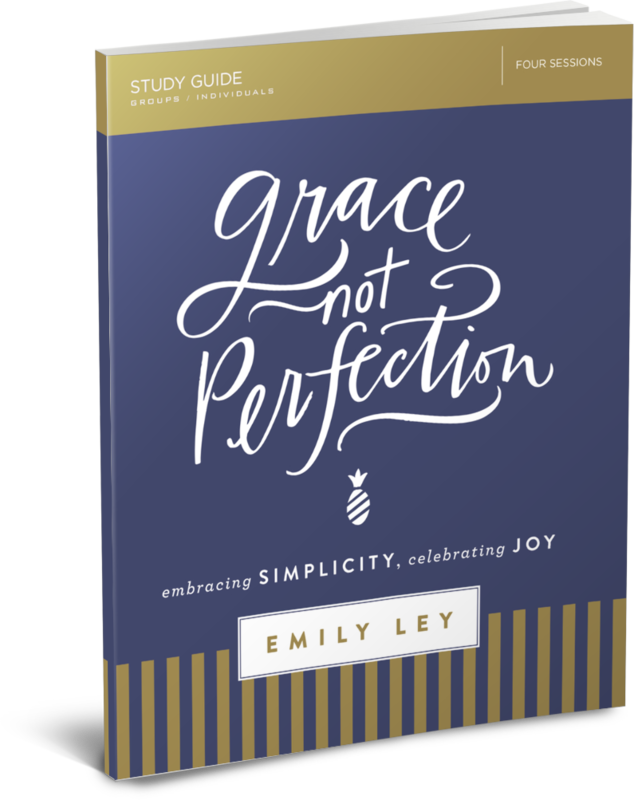 Hold yourself and those you love to a more life-giving standard in Grace Not Perfection, and allow that grace to seep into your days, your family, and your heart.